The Flyers to my Exhibition have just arrived. 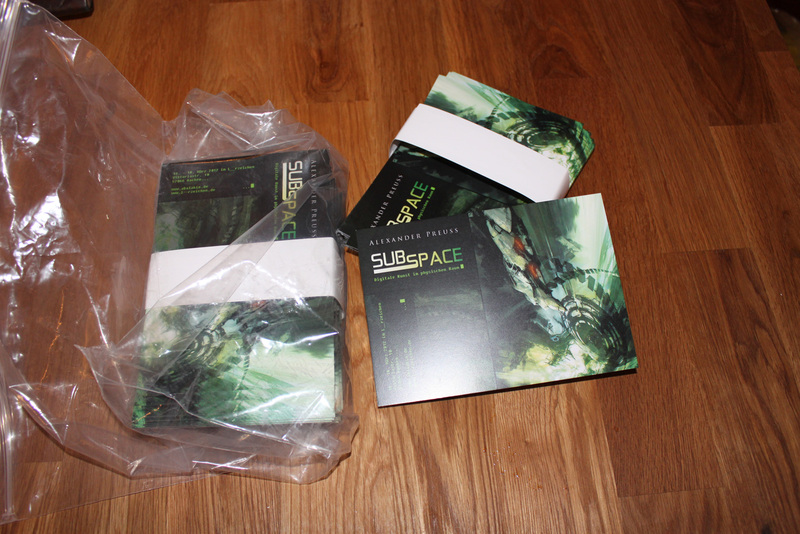 The exhibition "SUBSPACE" will be in Aachen, Germany, at the location "L__rzeichen". There i will show my some of my science fiction and fantasy artworks.